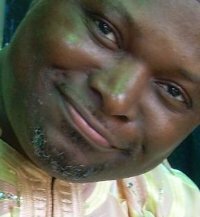 C. Paschal Eze, author of 14 well regarded books, is a widely traveled Nigerian-born American inspirational speaker and tourism consultant who serves as Vice President Africa for the Hawaii USA-headquartered International Council of Tourism Partners (ICTP). A former daily newspaper and monthly business magazine editor-in-chief and news agency correspondent, Eze has also served as speech writer to VIPs, business communication advisor to businesses and nonprofits, media consultant for a German tour operator, tourism reporter and columnist, entertainment manager of a tourist resort, advisor to hotel owners and managers, and member of organizing committee of tourism related events, among others. His December 2008 interview with Barack Obama resulted in a January 4 2009 Iowa Press Citizen newspaper column titled “Ignoring Kenya in Crisis.” Eze has been featured or favorably cited or mentioned in New African magazine London, Ode Magazine, Voices of the Tri-State on Radio Dubuque Iowa, Iowa City Press Citizen, Daily Iowan, award-winning international trade magazine Christian Retailing, Dubuque Telegraph Herald, British Broadcasting Corporation (BBC), American Black Journal, RAP 21, Ovation Magazine, Atlanta Journal Constitution, Wichita Eagle, Detroit Free Press, GRTS Television, Radio Gambia, 2001 Africa Report of the Committee to Protect Journalists, Dotty Ray Show on KXIC-AM , Michigan Chronicle, West Africa Democracy Radio, Wikipedia, and very many other respected newspapers, magazines, radio and TV programs and websites around the globe. His Iowa USA-based Global Mark Makers (http://www.globalmarkmakers.com) publishing company has published books of well known personalities. Well, I am involved in at least two industries: tourism and book publishing. I am happy countries like South Africa,Tanzania, Ghana and Gambia have been making appreciable gains in tourism product development and marketing but there are over 50 tourist destinations in Africa and they need to significantly improve their game. Why? They have amazing tourist attractions that, if well promoted and supported with better social infrastructure, should fetch them huge numbers of tourists (especially responsible ones) from major source markets in North America, Europe and Asia. Tourism is a major job creator. Jobs in the industry are not only top flight ones but also low-skilled ones. Besides, tourism is a gateway to trade and foreign direct investments which African countries need urgently. After all, many leisure tourists around the world are known to have ended up doing good business with their host countries. As for book publishing, we still have a long way to go. Many across Africa do not place needed value on buying and reading books – fiction and nonfiction. Piracy is relatively high. Distribution channels are not yet developed, and ebooks in Kindle and Nook have not taken root though many on the continent carry digital devices around. My city of Coralville Iowa has little African footprint. I am not sure many tourism officials and professionals across Africa know where Iowa is. May be, they do, but as far as I know, they have not yet reached out. The touristy city of Dubuque, Iowa, which I visit often, is one that African tourism administrators, professionals and investors – from Nigeria to South Africa- need to understudy. Dubuque is a must-visit for a number of reasons, one of them being its unique attractions and the other the good way its tourism is run and promoted. A lot. Many people across Africadepend on their cell phones/smart phones for social, professional and business communication. Friends, business associates and relatives on the continent who are on my BlackBerry contact easily reach me free of charge here in Iowa or wherever I am using BlackBerry Messenger. The telecommunications industry is growing at a very fast pace in Africa, especially Nigeria. Also, many Africans, especially young professionals and globally thinking businesses like ground tour operators, music and movie promoters and big event organizers, are on Facebook, Twitter and LinkedIn and it always gives me pleasure to link with them there. Where do people in other parts of the world go to “discover” African destinations? The Internet, of course. What is Google meant for? Thanks to YouTube, African destinations are becoming more visible and more attractive though these destinations need to do more in this regard. Many flights and tour packages to African destinations are researched and booked online. That’s where the action is. That’s why I have strongly recommended viral marketing to African destinations, but many bureaucrats there are yet to understand what time it is. Where do many people seek and find jobs in the tourism industry and other industries? The Internet. As for book publishing, where should every book written, edited, designed, published, distributed, marketed or reviewed by Africans be found? Amazon.com. My books are there, by the way. 3. What problems do you feel have to be overcomed by Africa in your industry? Many. They need to be proactive and not reactionary. They need to do things faster and be international business friendly. Less bureaucracy is good, very good as far as I am concerned. Their roller coaster disposition to people who want to do business with them is very frustrating and discouraging. I am talking here from personal experience. Some friends, associates and workshop audiences have also shared their frustration with me. Why should I be given a roller coaster “call today, call tomorrow” treatment for offering to help an African country like Nigeria or Botswana get better known, better appreciated and better visited? Why? I don’t get it. For instance, I have – on my own volition, without any pay – arranged for top media interviews for some hoteliers and ambassadors, and what did I get? Disappointment. Big disappointment. The journalists called and emailed their questions a number of times but got no reply. Can you imagine that? I believe African destinations need to tap the goodwill, capabilities and contacts of their nationals around the world. They need to mine viral tourism marketing which you can call digital tourism marketing for the gold it has. The marketing landscape has changed. Traditional marketing is very expensive and African destinations may not have the huge budget to place ads on CNN and New York Times in today’s very competitive tourism market. But an engaging, educative, exciting and entertaining non-documentary type video on YouTube can create better brand awareness —and it’s free to post on YouTube, which can even pay them for ads placed on the video. Savvy viral destination marketing has brought ample dividends toAustralia (Great Barrier Reef’s 2009 Best Job In The World), New Zealand (ongoing Pass It On campaign) and other countries.